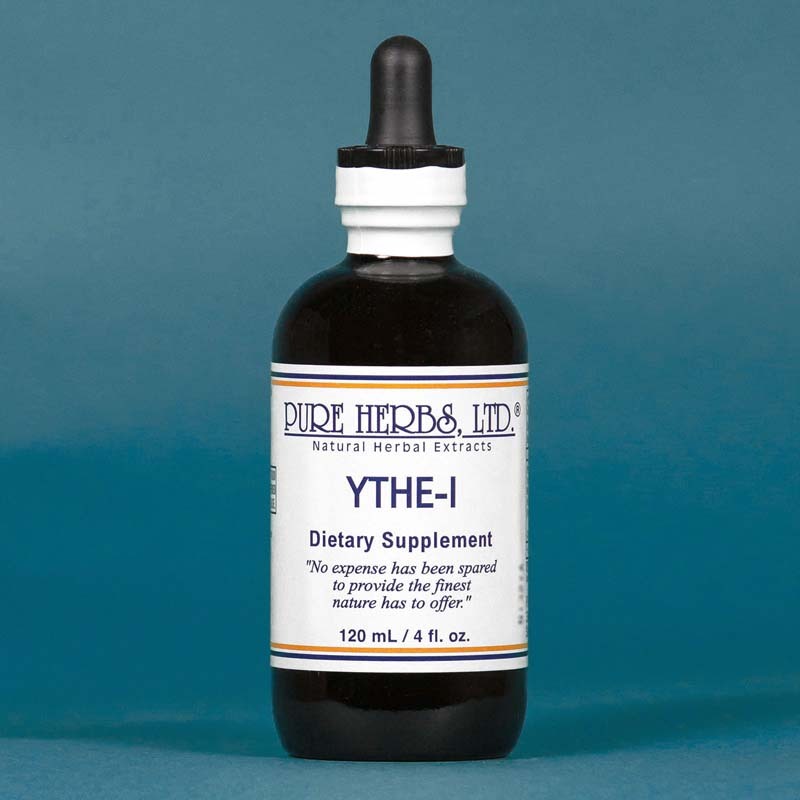 YTH.E.-I (Youth Elixir Inman) (YOUTH ELIXIR-REGULATING LIQUID-herbalist-Inman) - This unique combination was formulated by Herbalist Sandra Inman for the young and the young at heart. She says it helps the young stay young and the more mature look and feel much younger. The aging process begins on the inside, so turn back the clock and preserve your health by taking this combination. This natural herbal combination will influence an array of youth-maintaining substances and functions throughout the body. The organic source of iron will give you natural energy. YTH.E.-I has an abundance of the much-needed vitamins, minerals, carotenoids (yellow to red colored healing plant materials) and essential fatty acids (oils the body needs for life and must get from food). All of the B and C-Complex vitamins, to fight stress and boost the immune system, are included. It also has powerful antioxidants (poison antidotes) to fight free-radical (poisons) damage, which causes aging. It also has all of the essential and non-essential amino acids. As a bonus, you will enjoy the pleasing taste and smell this combination has because of the mild digestive enzyme (speeds up a reaction) combination, which helps you avoid a system of toxic (poison) build up. If metal poisoning is a concern, this formula will flush that right out of your system. With continued use, you may also notice that you handle stress better, your vision has improved, you have less pain and inflammation, your immunity has increased, and you are more energetic. Your skin may appear more radiant and less wrinkled because of the collagen (elastic tissue) building and internal moisturizing you will receive from these ingredients. Also, your hair and nails may become stronger and healthier. You may even notice that you weigh less. HELPFUL HINT: Be sure and drink 64oz. of water a day to prevent dehydration, which accelerates aging. COMBINATION: Spirulina, Bilberries, Alfalfa, Royal Jelly, Wild Yam, Irish Moss, Papaya Mints, Yucca. DOSAGE: 40 to 80 drops 3 times a day with meals.